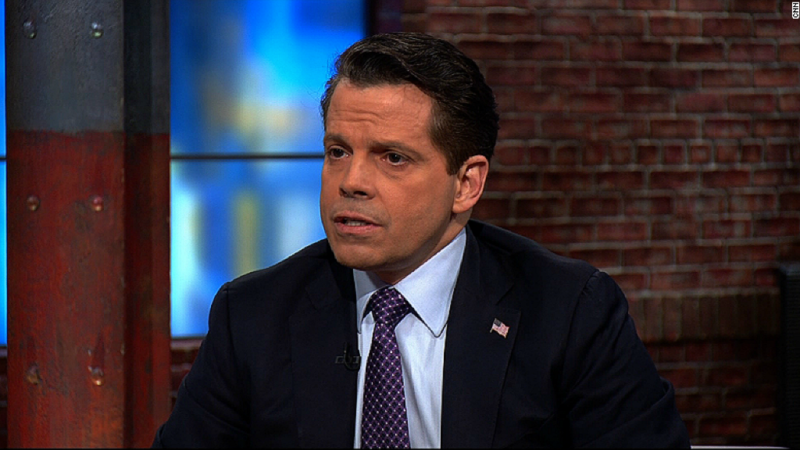 Anthony Scaramucci is returning to Wall Street after a deal to sell his hedge fund business collapsed. Scaramucci, who famously lasted just 10 days in the Trump administration last year as White House communications director, is coming back to SkyBridge Capital as co-managing partner, the firm said in a statement Monday. The move comes after SkyBridge, a network of hedge funds that Scaramucci founded in 2005, failed to get federal regulators to sign off on its planned sale to the Chinese conglomerate HNA Group. Scaramucci had resigned from SkyBridge in January 2017 when the HNA deal was announced. But more than 15 months later, the deal had failed to secure approval from the Committee on Foreign Investment in the United States, an inter-agency government committee that evaluates sales of US businesses to foreign entities to determine the impact on national security. "Given that significant time has passed since the transaction was first announced and the uncertain timing of the approval process going forward, the parties determined that it is not in their business interests to pursue the transaction," the SkyBridge statement said. Although the sale has been called off, the the two companies are considering a potential marketing relationship under which HNA would distribute SkyBridge's hedge fund products in China. "We are grateful for the opportunity to get to know HNA and look forward to a potential productive relationship in the future," said Ray Nolte, SkyBridge's chief investment officer. After a years-long buying spree, HNA has lately reversed course by unloading billions of dollars of foreign assets to ease financial pressure. HNA recently revealed that it trimmed its stake in Deutsche Bank (DB) and plans to get rid of a $6.5 billion stake in Hilton Worldwide (HLT). Scaramucci did not respond to a request for comment Monday. He garnered national attention last summer during a chaotic and controversial stint in the White House. He was fired days after unleashing a vulgar tirade against top White House officials. Scaramucci used to hold an extravagant hedge fund conference at the Bellagio in Las Vegas and hosted a show on Fox Business. The Harvard Law School graduate got his start in finance in 1989 at Goldman Sachs (GS).